Convocation was delighted to present Craig James, David Bean, and Verity Keogh as our Guest Speakers for the Autumn Ordinary Meeting of 2019. 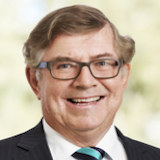 Craig James OAM is a graduate of UWA and a practicing Property Lawyer since his admission in December 1975. He holds the position of Senior Lawyer with Irdi Legal. Craig James joined the Boat Club in March 1969 in its 50th year, in 1970 joined the UWABC Committee and for the next 10 years held positions of Treasurer, Captain, Registrar and Editor as well as representing the University at 4 Intervarsity Regattas. Craig holds Life Memberships of the Club and of Rowing WA and is a member of the UWABC and RWA Boards. 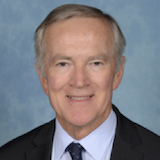 David Bean is Deputy Headmaster and Director of Curriculum, Hale School, and has over 35 years' experience in education. He is a graduate of UWA, B.A (1st class Honours) and a Rhodes Scholar. He has been actively involved with rowing in WA for over thirty years. Captain of UWABC in 1976, a Life Member of the Club and now a UWABC Board member, David has also been a vice president of Rowing WA, a state, club and school coach and was editor of Australian Rowing magazine. 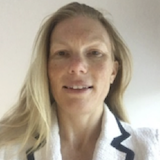 Verity Keogh: UWA Alumni (BSc BE 1995-2000, Grad Dip Ed 2001)UWABC club member 1993-1998, 2003-05. "UWA has been an important part of my life as long as I can remember, from Uni Care as an infant, Uni Sport as a child to studying as a student and being an active member of the Boat Club, UWA has had a continuing influence on my life "
Involvement in co-curricular activities as a student translated into diverse career opportunities leading to my current role as Executive Officer of the Public Schools Association. Verity is the Director, High Performance, on the Rowing WA Board.